Change Skype name. Skype is one of the best chatting software for computer and mobile. You can easily chat and video call with your friend using Skype. But at first, you need to create a Skype account and sign in your Skype account to chat with your friend. When you create a new Skype account then you need to add your name on Skype. Few Skype users want to change their Skype name after creating their account. Skype has an easy option to change Skype display name. In this lesson, we discuss three easy methods to change Skype name. 1. 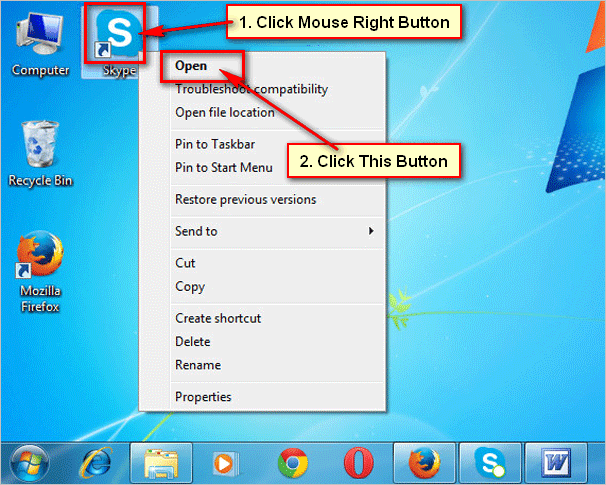 Right-click up to Skype shortcut icon and select the Open to open Skype on your computer. 2. 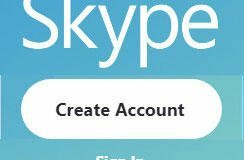 If you are not already signed in your Skype account, press the sign in button, type your Skype account username and password and press the sign in button to sign in. 3. Click up to your Skype profile picture. 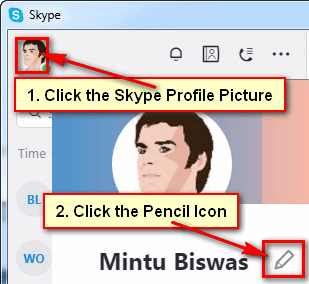 Press the pencil icon to change Skype display name. 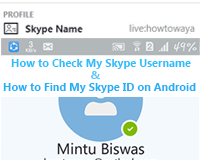 Delete the previous name and type your name what you want to add your Skype profile and click the tick sign. 4. Skype display name will change. Click the x icon to close this window. Using this way, you can change Skype name easily from your computer. 1. Touch the Apps icon to see apps page. 2. 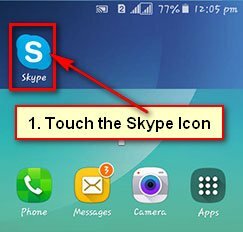 Touch on the Skype app icon to open in on your android phone. 3. 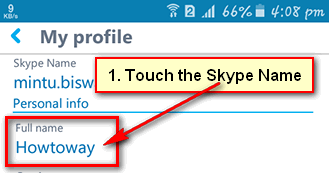 If you are not already signed in your Skype account, sign in your Skype account from Android phone. 4. Open the Skype menu from the top left on your Skype app. 5. Press the My account menu with human icon. 6. 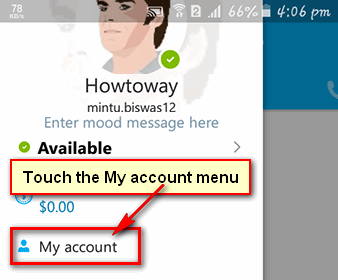 Touch the below of Full name to change skype display name on android. 7. Delete the previous name and type a new Skype name. 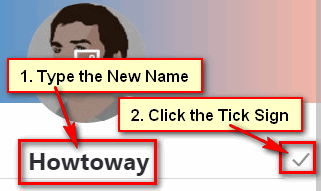 Touch the tick sign to keep this name for your Skype account. After that, you will see recently added Skype name on your Skype profile. 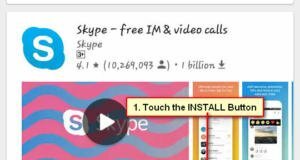 Using this way, you can easily change Skype name on Android mobile. 1. Open a web browser, like Google Chrome or Mozilla Firefox. 2. Input the Skype.com and press the Enter key. 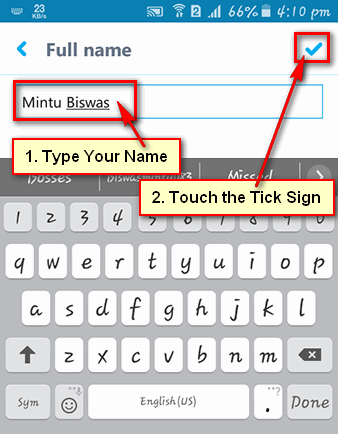 Press the Sign in with arrow icon and select the My Account with a human icon. Type your skype email address and press the Next button. Type your Skype account password into password box and press the Sign in button. 3. Skype website will open with your Skype account name. Press up to your name and select the My account to change Skype display name from the laptop. If you see the “Please update your billing address to enjoy the full Skype experience” message then press the Modify text. 4. Skype billing information page will open. Scroll down below of the page and select the Edit button. 5. Fill the all boxes with the required information. Type your first name, last name, residential address, city, and postcode. After that see your profile. Your Skype name will change your selected name.